What do think of my face? Well your acne seems fairly mild...so I'm guessing your acne was worse at some point for those scars to appear or you're a picker? Thanks for your reply. Although it did sadden me. I guess I never considered myself a picker. Maybe I was. My acen was never that bad to cover with makeup. I guess every time I had a white head, I would pop it withought thinking of the consequences. You probably won't belive me but these past two months I just noticed my scarring, that's why it saddens me. Although it's not severe, just the fact that I'm scarred is a real downer. Very depressing. I just honestly wanted to hear the truth of how my acne is. You now in my mind or when I look in the mirror, I guess mentally I want to beleive that I don't have scarring - that it wasn't noticible. That is why I took so long to post a pic, because I'm afraid or avoided to hear the truth. I know my acne and scarring isn't as bad as others, but no matter at what degree, its emotionally draining to deal with acne. I wish I had a scarless face. On another note, I don't know if it's my imagaination but at times I feel taht people don't take me seriously and I wonder if it's because of my acne/scarring? Espinilla12, hey girl, your skin looks great to me. I mean, I have a few pictures of my skin that I have hesitated to put up...but let me tell you, I would swap with you if I could. I don't scar but it never goes away, like, I am really struggling to clear my skin. 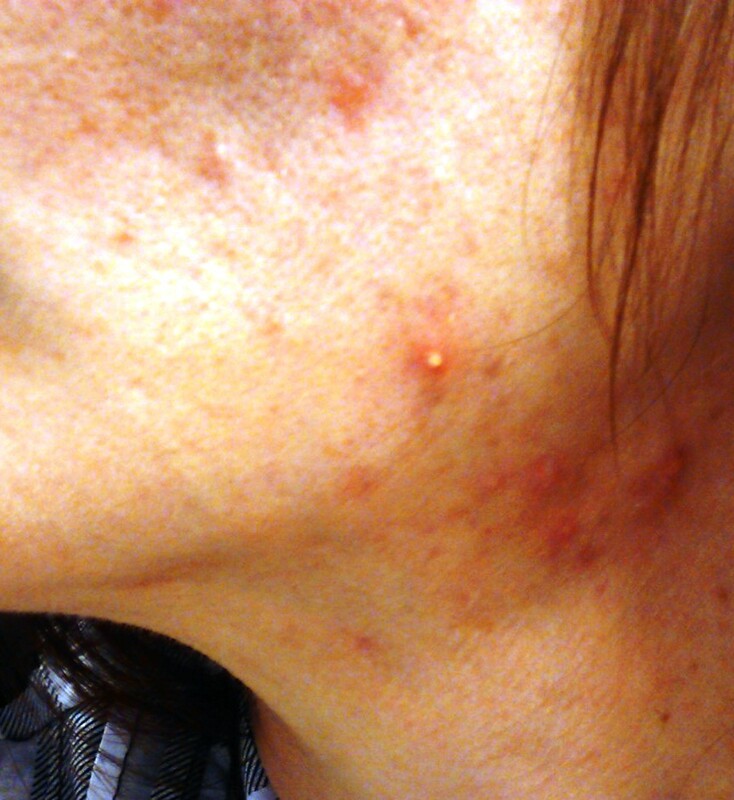 I have acne all over, from my forehead down the sides on the chin upper lip jawline and neck. It is quite horrid. But the grass is always greener, isn't it? If it makes you feel better, there are so many ways to treat scarring. And your scarring looks fairly shallow, so I think you are a perfect candidate for seeing great results. What does your regimen look like right now? Maybe I can help you search for methods to help your scarring. And scarring does fade over time, whether or not you try to deal with it yourself. And once your scarring is gone you just throw on a bit of powder and blush, and just uh that will just look beautiful. I think your skin looks pretty good. Most people I know, upon close inspection, have some flaws on their skin. You look just fine. I mean, I have fairly decent skin and I don't go anywhere without make-up because the older I get the more my skin shows. 1.Take 150mgs spiro in the morning. 2. Drink 3 to 4 20FL water bottles per day. 5. Wait 30 minutes and apply Atralin Gel. I try not to wash my face more than once a day because I feel I aggrivate it more. When I take a shower in the morning I do the same routine. I know I'm supposed to use Atralin Gel at night. Basically I work inside all day and avoid the sun, especially if I have atralin gel on. i don't do this very often. I bought CeraVe Lotion w/ sunscreen but I'm hesistant to use it right now fearing I might break out. I'm waiting a little longer for my face to clear before I use it. These pics. One is taken almost 3 months ago. And the other is of today. There's good news,though. You're indentations are extremely shallow. Once you get some money saved up go talk to a few different skin care centers and talk to them about correcting some of the scarring.Subscision,lasers,and deeper chemical peels are what I'd ask about. Scars don't ever completely go away, but I think you can get them to a point where they're not noticeable at all. Really! You are on the lucky end of the indent spectrum! I can't give you acne advice,because well, your acne isn't even an issue. You have a few teeny spots that I'd honestly not stress over. I was feeling very optimistic this past Tuesday thinking I was on my way to clear skin......and this happens today. I get 3 stupid whitheads again under my chin. SEE what I mean by persistant!!!!!!!!!! !Stupid zits just play mind games on me!!! Right now my face is so fricken oily its unbelieveable!!!!! I thought the tretinonin would dry out my face. It's been 21/2 months using this. Sometimes I even think its causing more oil production!!! wHATS UP WITH THAT!??! Ok this is what my face lookes like today. Please don't tell me I look fine, or it's not that bad. For me it's bad, and I feel so UGLY and GROSS!!!!! No that I see the second picture, it didn't think my face was that bad!!!!!! And I have to face the world like this!!!!! So sad so sad so sad so sad, God please help me rid of this terrible disease. Please help everyone on this site heal from this terrible thing. I'm very happy and pleased. 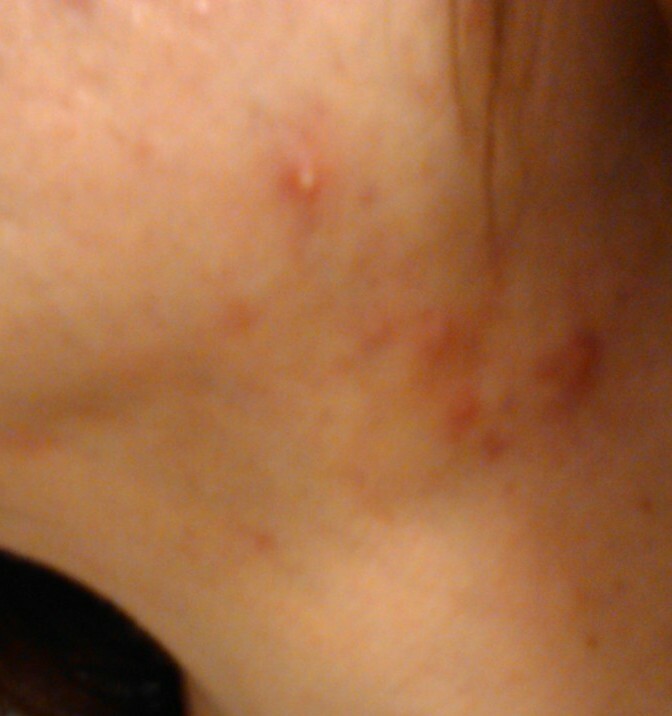 I have scarring, but the dermatoligist said the Atralin will continue to help with that. Praying to God these results continue! Oh by the way I don't wear make up. I do so only to spot treat, but other than that i'm all naturaaal! Wow, looks great! That's a huge improvement, your skin looks so clear! You must be so happy with how it is now. 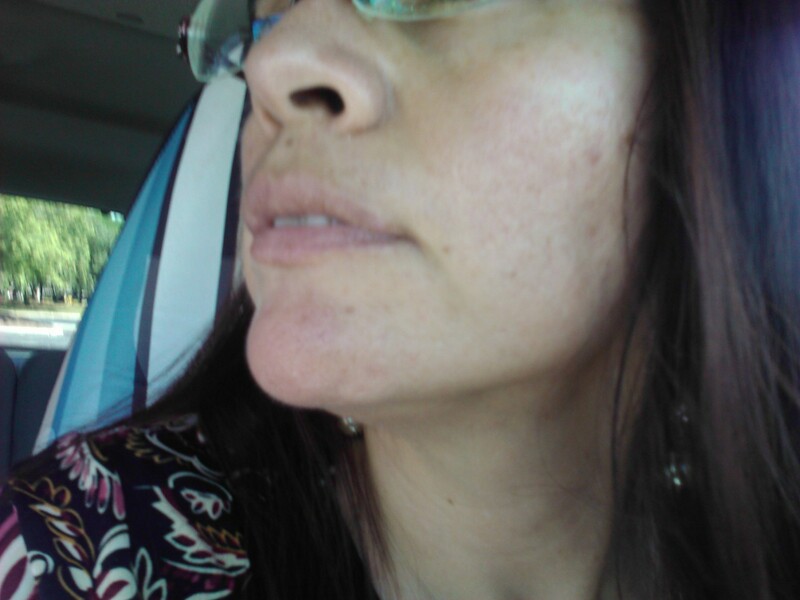 I don't see any noticeable scarring, but even if there is, just use the Atralin or whatever products you need for it. It's def. 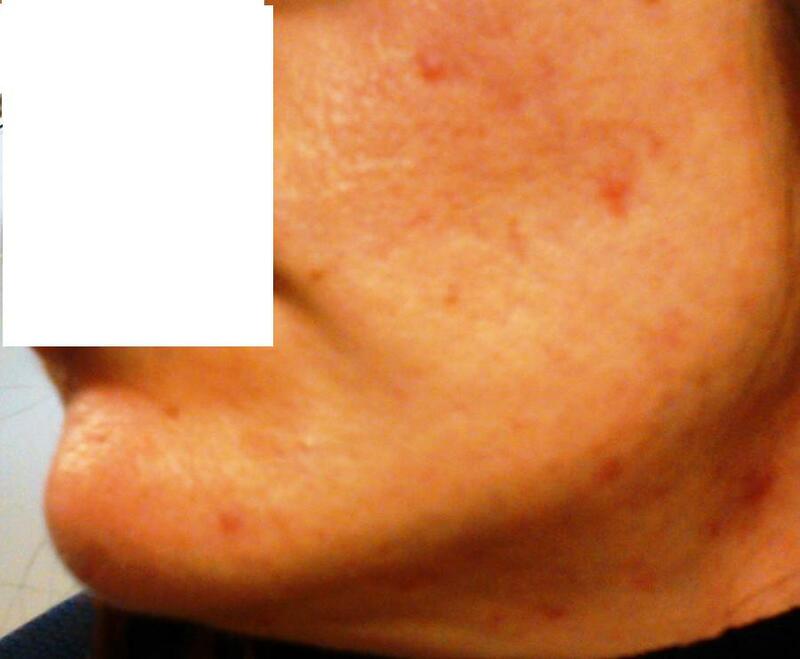 not scarring that you need chemical peels or laser or whatever, your skin looks great the way it is now. Thank you so much!!! It makes me feel good to read you postive compliments. You probably can't see my scarring probably cause of the angle of the shot and the lighting, but I do have them. But I'm not complaining. I'm taking it one day at a time. Yep, one day at a time is a good plan. 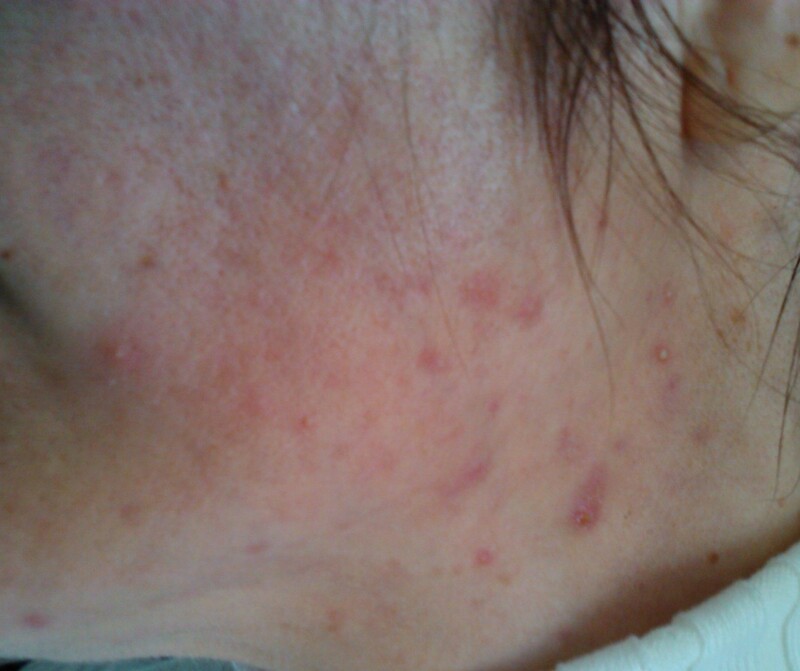 I have similar issue in that I probably have really mild acne, I get one bad pimple at a time with a few small ones that go away fast except with the bad ones, I end up squeezing and popping them which leaves marks. When I was on BC, I didn't get these huge pimples that come to a head and end up having to be popped. Ever since I got pregnant in this year alone, I"ve had like 10 of them (only once having 2 at the same time though). It stinks because of the marks they leave. Well I think any scarring/enlarged pores tend to look much moe obvious in a close-up photo, than they would in real life. Your skin is quite similar to mine, though the scars I have are a couple of ice-picks and one rolling scar on my cheek. 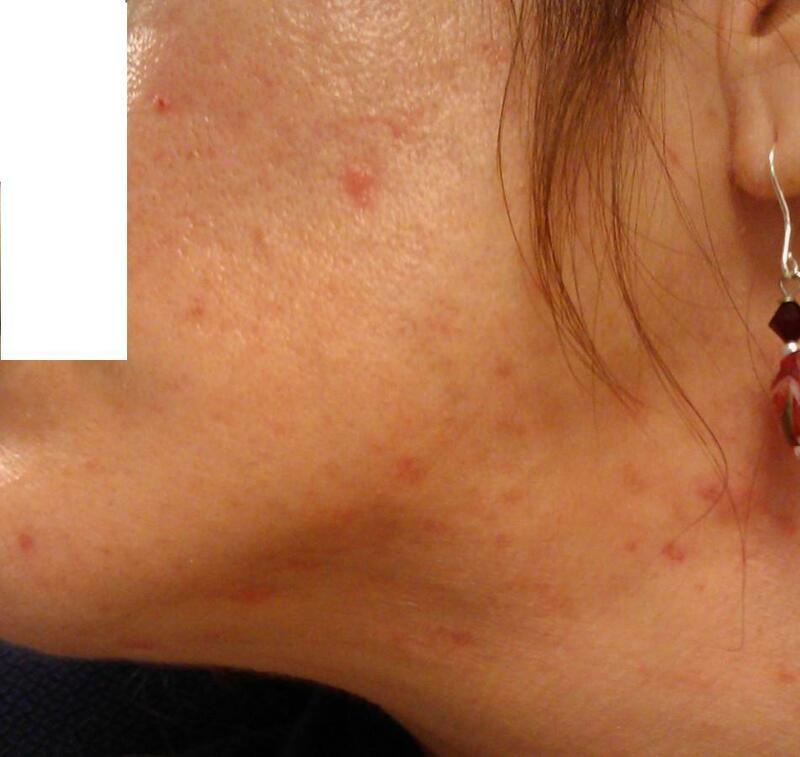 My acne before Accutane was a bit worse than yours, with regular large and painful nodules on my jawline and neck. I think I would rate your acne as moderate, although there's not much of it, what there is looks inflamed, rather than non-inflamed. Wow, just saw your update pic - looking good! its funny you say this... because right now (or a week ago), you were freaking out over ONE indent.